Rehovot (Ebreu: רְחוֹבוֹת‬) is a ceety in the Center Destrict o Israel, aboot 20 km sooth o Tel Aviv. In 2015 it haed a population o 132,671. Rehovot wis biggit on the steid o Doron, a Jewish community that existit in the time o the Mishna. The steid wis an aa the location o Khirbet Duran, populatit durin the Roman, Byzantine an early Arab periods. The ceety is named efter a biblical toun o the same name (Rehoboth in the KJV Bible), whilk stuid at a different location, in the Negev Desert. 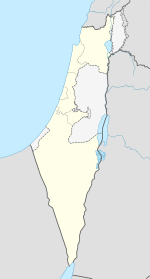 Rehovot wis foondit in 1890, in the coastal plain relatively spairsely settled bi Arabs, bi Pols Jews wha wantit a tounship independent o the Baron Edmond de Rothschild's aid (an management). Israel Belkind, ane o the oreeginal foonders o the dounset, proponed the name Rehovot (lit. 'wide expanses') based on Genesis 26:22 : "An he cried the name o it Rehoboth; an he said: 'For nou the Laird hath made ruim for us, an we sall be fruitfu in the land.'" The name wis acceptit. In 1908 thay wur joined bi immigrants frae Yemen, who settled in the ceety's Sha'arayim destrict. Thir early settlers plantit vineyards, awmond orcharts an citrus groves. Thay gainstuid agricultural failures, plant diseases, an mercatin problems. An agricultural research station that opened in Rehovot in 1932 became the Depairtment o Agricultur o the Ebreu University o Jerusalem. In 1934 Chaim Weizmann stablished the Sieff Institute, whilk became the Weizmann Institute o Science. In 1937 Weizmann biggit his hame on the land purchased adjacent tae the Sieff Institute. The hoose later served as the presidential residence efter Weizamnn became preses in 1948. Weizmann an his wife are buried on the grunds o the institute. On 29 Februar 1948 the Lehi blew up the Cairo tae Haifa train shortly efter it left Rehovoth killin 29 Breetish sodgers an injurin 35 as weel as 100 ceevilians. The Lehi annooncement said the bombin wis in retaliation for the Ben Yehuda Street Bombin a week earlier. Atween 1914 an 1991 the population rose frae 955 tae 81,000, an the aurie o the toun mair nor doubled. Pairts o Rehovot's suburbs are biggit on land which afore 1948 belanged tae the veelage o Zarnuqa, population 2,620, includin 240 Jews in Gibton. In 1995, thare wur 337,800 fowk livin in the greater Rehovot aurie. As o 2007, the ethnic makeup o the ceety wis 99.8% Jewish. Thare wur 49,600 males an 52,300 females, o whom 31.6% wur 19 years o age or younger, 16.1% atween the ages o 20 an 29, 18.2% atween 30 an 44, 18.2% frae 45 tae 59, 3.5% frae 60 tae 64, an 12.3% 65 years o age or aulder. The population growth rate wis 1.8%. As o 2004, in the ceety thare wis 41,323 salaried wirkers an 2,683 are sel-employed. The mean monthly wage for a salaried wirker in the ceety is ILS 6,732, a real chynge o -5.2% ower the course o the previous year. Salaried males hae a mean monthly wage o ILS 8,786 (a real chynge o -4.8%) versus ILS 4,791 for females (a real chynge o -5.3%). The mean income for the sel-employed is 6,806. Thare 1,082 fowk wha receive unemployment benefits an 6,627 fowk wha receive an income guarantee. Minorities: In Rehovot thare three signeeficant Jewish ethnic minorities: Roushie Jews, Yemenite Jews an Ethiopian Jews, concentratit lairgely in the Kiryat Moshe an Oshiot auries. As o 2004, thare are 19,794 students an 53 schuils in the ceety, includin 30 schuils wi 9,875 elementary schuil students an 29 schuils wi 9,919 heich schuil students. 61.3% o 12t grade students wur entitled tae a matriculation certificate. 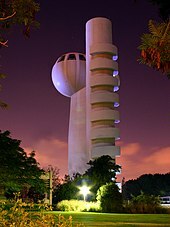 The ceety is hame tae the Weizmann Institute o Science an the Faculty o Agricultur o the Ebreu University o Jerusalem. Thare are an' a' a nummer o smawer junior colleges in Rehovot that provide specialised an technical trainin. In addition, Kaplan Hospital acts as an ancillary teachin hospital for the Medical Schuil o the Ebreu University o Jerusalem. The Tamar Science Pairk, established in 2000, is a heich-tech pairk o 1,000 dunams (250 acres) at the northren entrance o the ceety. Tho lairgely conceived as an aurie o Rehovot, it actually is unner the municipal bundaries o neighbourin Ness Ziona. Rehovot haes haed three clubs representin it the tap diveesion o Israeli fitbaa, Maccabi Rehovot atween 1949 an 1956, Maccabi Sha'arayim atween 1963 an 1969 an again in 1985, an Hapoel Marmorek in the 1972-73 saison. Thir days, Marmorek is the heichest rankit club, playin in Liga Artzit, the third leivel. Maccabi Sha'arayim play in Liga Bet, the fift level, while Maccabi Rehovot play in Liga Gimel, the saxt an lawest division. ↑ Frae Genesis 26:22. Wird stems frae raḥav (רחב), meanin broad. ↑ "The 'science city' is not sparkling - Haaretz - Israel News". Haaretz. Retrieved 2009-05-06. ↑ The Scotsman Mairch 1st, 1948. Reports that baith Weizmann's hame an the Agricultural Institute wur damaged bi the explosion. (Ane an twa miles frae the scene respectively). Wikimedia Commons haes media relatit tae Rehovot. This page wis last eeditit on 5 Mairch 2018, at 03:44.